Apples are one of the best things about fall. They're an amazing fruit, one of the few that I find as enjoyable raw as they are cooked into pie, crisp, sauce or soup. They are also great in drinks. Alcoholic apple drinks have a long, rich history, which Carrie Allan recently chronicled for The Washington Post. I was in the process of putting together this post when Allan's article came along (she has an amazing knack for timing stories about things I'm interested in at exactly the point I'd want to read them). 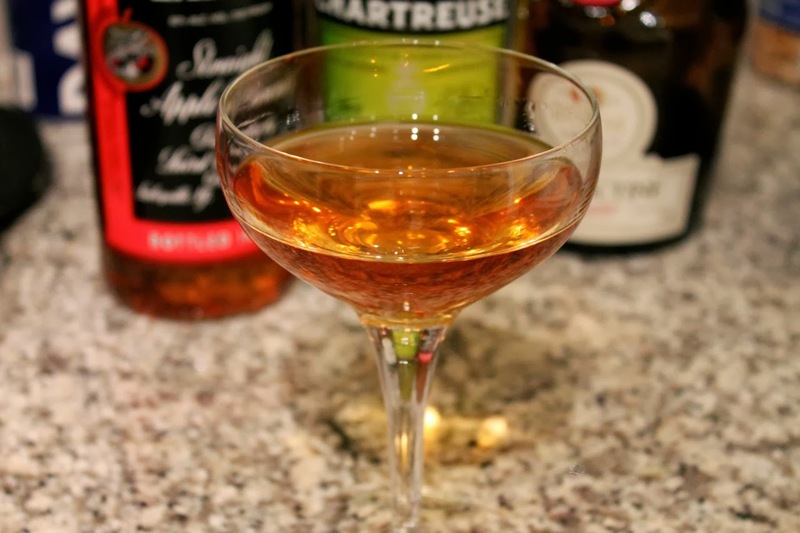 Along with her article was a recipe for a modernized version of the Scotchem, a classic warm apple brandy (specifically applejack) and mustard cocktail, which I've reproduced below. 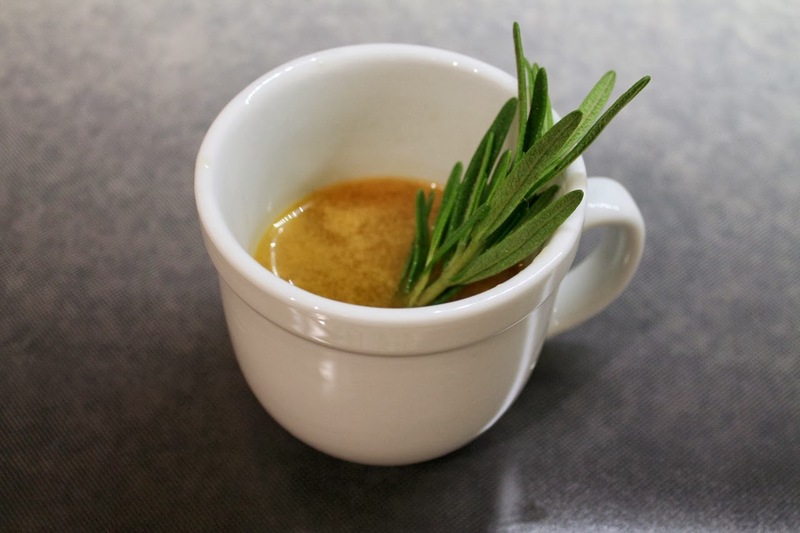 Its hints of mustard and rosemary nicely complement the apple brandy. Prior to Allan's article, I was already in the mood for a good apple brandy cocktail when I came across the Norwegian Wood (pictured above), the creation of Portland bartender Jeffrey Morgenthaler, which I wrote about in The Feed not long ago. Serious Eats writer Lizz Schumer described it as like “licking a tree branch that has a little sap dripping off the end.” Not a bad description for this great cocktail. 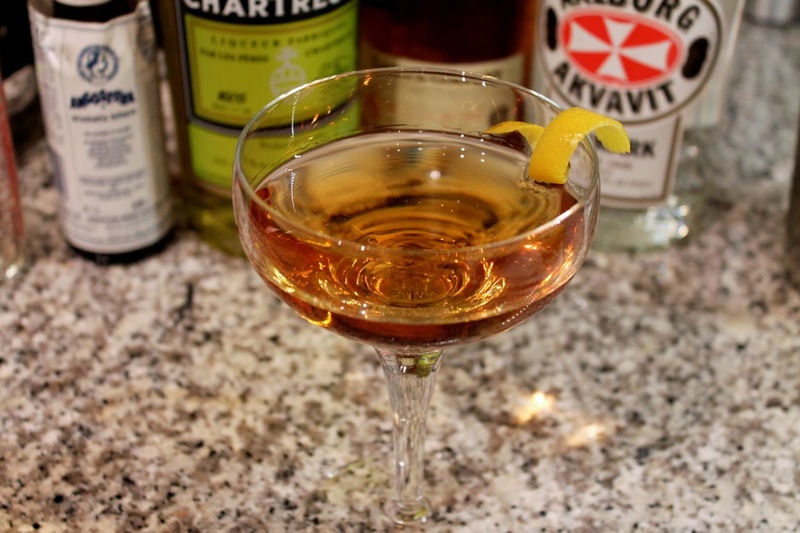 Lastly, I've include the Widow's Kiss, an old-fashioned cocktail that pairs apple with herbal Chartreuse and Benedictine liqueurs. Combine ingredients in a cocktail mixing glass with ice and stir until cold. Strain into a chilled coupe glass and garnish with lemon twist. This is a late 19th century cocktail created by New York bartender George Kappeler. A lot of recipes call for Calvados, a French apple brandy, but I made it with Laird's as suggested by the PDT Cocktail Book. Combine ingredients in a cocktail mixing glass with ice and stir until cold. Strain into a chilled coupe glass. Heat the cider in a small saucepan over medium heat, making sure it does not come to a boil. When it's warm, add the applejack. When the mixture barely bubbles around the edges remove it from the heat. Allow it to cool slightly, then combine the warm mixture with the mustard in a cocktail shaker. Drop the spring from a Hawthorne cocktail strainer into the shaker, seal it tightly and shake for 15 seconds. Divide between two mugs and garnish with rosemary sprigs. Note: The pressure from the warm liquid made my shaker explode (it didn't shatter, just popped the top off and made a mess). I might suggest alternatively that you whisk the mustard into the warm mixture in the saucepan and forego the use of the shaker. The Norwegian Wood is a pretty good drink, although the description you quote -- licking a tree branch -- doesn't sound all that appealing. But that's just me.